SEO scams have been around as long as the search engines have been in existence. From sending unsolicited emails to making unwanted phone calls, unscrupulous SEO scammers continue to fish for business by preying on the unsuspecting business owners. How do you identify an SEO scam and what should you do about it? The following is a classic example of an unsolicited SEO scam email that one of our clients received. This particular scam has been bombarding email boxes for some time in various forms. A quick Google search for the phone number brought numerous reports of others that had received a version of this canned email. Danny Sullivan, Founding Editor of Marketing Land, wrote the compelling article, Why People Hate SEO, in January 2013 and used this email as an example in that article. To the unsuspecting, canned SEO Scam emails like this one can be alarming. We all want to place well in search engine results. This email is another unsolicited canned email with inaccurate information. We also receive emails like this on a regular basis. It is interesting that Justin Taylor did not divulge the name of “corporate identity”, “company profile”, or his website address. I did Google Justin’s phone number and it appears that he has been sending out this form email for some time. First, the opening sentence, “I thought you might like to know some of the reasons why you are not getting enough organic & social media traffic on your website,” is deceptive and untrue. The website is ranking for a number of top keywords and social media is definitely generating traffic to the website. It would take a great deal of time to conduct a comprehensive analysis of a website to determine HTML and other “on page” errors. This is a pretty broad statement with no concrete evidence to back it up. It is apparent that your website is functional and that there are no apparent errors. This statement is not true. Your website has both internal and external links throughout the site. This is simply not true. We have been very careful to not include duplicate or low quality content. This is simply not true. The site is updated on a regular basis with the blog articles that add new content 2 times per week. Note the word, “might”. This website is checked on a regular basis for broken links. As for poison words, this person is reaching and trying to cause alarm. Although this statement is true, it is simply a statement. Your Facebook and Twitter social media profiles are updated on a regular basis. Google Search Console gives sound advice in the company’s Search Engine Optimization (SEO) guidelines. It is unfortunate that some people feel the need to use unscrupulous and deceptive marketing tactics to gain business. With any marketing email or phone call that we receive, we need to be wary of scammers. If it looks suspicious, it probably is. If you have any questions, ask a trusted friend or business colleague before taking the next step. Have you ever received a suspicious email or phone call from someone like this? If you found this helpful, would you please share it with your friends? I’ve been lucky I haven’t received phone calls to cause an alarm, Robin but yes, I have received similar sounding emails from addresses which immediately raise an alarm about the credentials of the sender. Most of the time I find them in my Spam folder and delete pronto. Thanks for the heads up on scam emails. Thank you for sharing your experience with these types of SEO scam emails. I also find a number of them in my spam folder. You are very fortunate to have had a third party team help you when you first started your website. 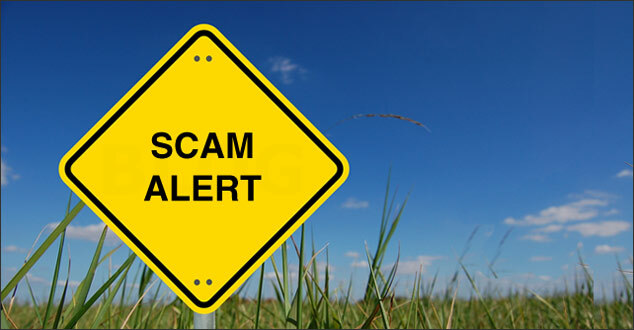 The more we can get the word out about these types of scams, the better for all. I appreciate you stopping by and for commenting. I hope you have a wonderful week ahead! Vestula – similar experience. I’m so glad I have good people to help me with my site. I’ve had both emails and phone calls, Robin. This is great information for all to read Robin. The emails can seem so real. You are so right. The emails and phone calls do appear real. For those who are not aware, it can be very alarming. I’m glad to hear you found this helpful! I enjoy reading Scam Alerts because they are full of great advice that can save us time, energy and money, so thanks for sharing! Have received many of these types of emails and have checked them out in a different tab, never clicking on links contained therein. Learned this years ago when scam artists were circulating a phishing email mimicking PayPal… Awful really. Thanks for the heads up – you’re definitely going to help a lot of people. I’m glad to hear that you found this helpful. My objective is to help others avoid the scams like this. I heard of one website owner that actually paid this person money, then never heard from them again. Never clicking on the links in the emails is great advice. It is amazing that scam artists are still at it, isn’t it? Thank you for stopping by, for taking the time to read this, and for your input. Have a great afternoon, too! Thank you for reminding us of another scam. I get these emails all the time. I don’t mind telling you at first I was really concerned, but most of these emails come from “gmail” or “hotmail” addresses, most are from out of the country, and in a lot of them the grammar is incorrect. I have learned to take your advice and simply delete the emails. You are so welcome. I get these types of emails all the time, too. Like you, the first red flags are the non domain name email addresses and grammar errors. I’m glad to hear that you simply delete these types of scam emails. I appreciate you stopping by and for sharing your thoughts! Yep! I have receive such emails on a daily business. This is so annoying that recently I just send such mails to the Junk . When I do more research to investigate such firms, there is always a report of scam hovering on them. I wonder why some people would want to use such methods. Well thanks to them, I have learned to differentiate between Spams and the real deal. Thanks for sharing this post. A great reminder for everyone SEO spams. It is great to hear that you know how to identify scam emails like this one. Researching to investigate if there are any spam reports is a great idea. It is a shame that there are people that are actually doing this and continue to, isn’t it? It is always best to delete those that make it into our in-boxes. Thank you for stopping by and for sharing your thoughts. I hope you have a wonderful rest of you day! I continue to just shake my head whenever I see one of these show up in my inbox. I’ve been online now for eight years and the one thing I would love to see happen more than anything else is to totally ban anyone from the internet that pull these types of scams. I know that just like any other type of crime though, unless they are caught red handed then there isn’t really anything anyone can do. I’ve personally been scammed in the past and turned them into authorities. The problem was that all they did was go around in a circle because they hid their tracks that well. It’s frustrating and another reason I don’t immediately criticize someone who comes to my blog and posts something they shouldn’t or leaves my email in the “to” field in an email to everyone. These are the people who are being taught the underhanded way to do things and the majority of the people I’ve approached about these underhanded tactics have apologized and been rather embarrassed that they too fell so easily for this. It’s just sad but I’m glad you put this out there again and hope that everyone has their radars up and knows to never ever hire someone based on just an email. Hope you’re enjoying your week and I’ll be sure to pass this one around as well. I am with you. I continue to shake my head at these types of email scams that make it through our spam filters. The very day that this post was published, I received three more in various forms. It is sad that these scams cannot be stopped. I have read about people paying money for services and then never hearing from the company again. The purpose of this post was to warn others of the dangers of email scams like this. I’m happy to hear that you agree that it is a good idea not to hire someone based on just an email. I hope you had a wonderful weekend! Have a great one ahead.